You might have seen a "London broil" while shopping in the meat section of your local grocery stores. It may come as a surprise to find that a London broil is not a specific cut of meat but rather a process of cooking. This process involves marinating the beef (usually overnight) and then broiling it. In this recipe, we are taking creative liberties to cut down on time spent on this dish, but our slow cooker London broil harnesses everything that we love about this delicious feast, with only minimal preparation needed. 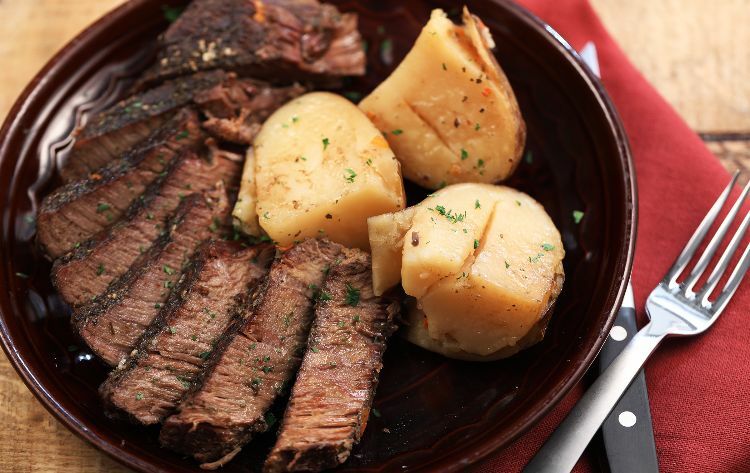 This brilliant roast is added to the slow cooker along with a braising version of a traditional London broil marinade, allowing it to absorb all of the beautiful flavors without having to marinate it overnight. Wholesome carrots and potatoes cook alongside the meat, leaving you with fork-tender beef and succulent vegetables for a meal that you will make time and time again. 1. Rub the olive oil, Italian seasoning, salt and garlic over the London broil and place it in the slow cooker. Place the chopped carrots and potatoes around the meat. 2. In a large bowl, mix together the beef broth, lemon juice, cream of mushroom soup, Dijon mustard and Worcestershire sauce. Pour over the London broil. 3. Cover and cook on low for 9 to 10 hours, or on high for 6 to 7 hours. 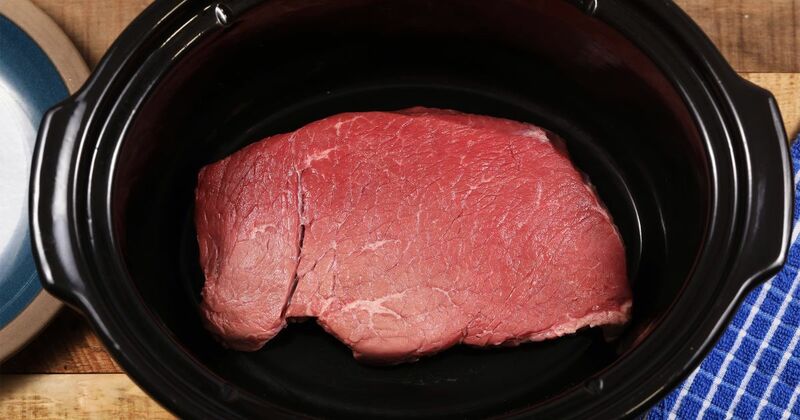 Tip: If possible, sear your London broil on both sides before placing in the slow cooker. This helps it retain its juices during the cooking process and makes for a more tender and juicy end result. Disclosure: This post contains affiliate links, which help support our website.